The hottest thing in haircare for the past decade, Argan oil has revolutionised hair treatments for many women. 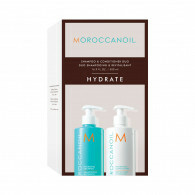 The original and best, Moroccanoil promises the purest ingredients and the most exceptional results instantly. 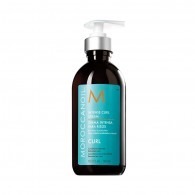 It’s all in the name, as people have used Argan oil to achieve more brilliant, beautiful hair for centuries in Morocco. 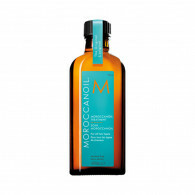 Now Moroccanoil is bringing that experience to salons across the world, using the finest, natural ingredients. This boutique salon brand has a reputation that grows and grows, among clientele and stylists alike. It’s not just their pure oil treatments, with a range of shampoos, conditioners and more that unlock the restorative power of Argan oil. The result is hair that’s revitalised from root to tip. If your hair suffers from dryness or damage, see restoring and strengthening effects in just a few uses. 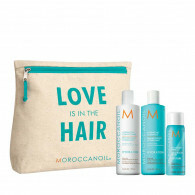 Ensuring strands never look dull between salon visits, whatever your hair type, Moroccanoil is the perfect choice. Ideal for use on a wide range of hair textures, oils are especially ideal for curls, coarse hair and thick hair that’s prone to frizz. Not sure if your fine hair would suit rich oils? They offer a light treatment oil, too, meaning every hair type can take advantage of the brilliance offered by argan oil hair treatments.